For all those mums out there I would like to recommend Marie Bellet’s music. A Catholic mum of 9, she has still found time to record a number of albums. The music is not my style, but the words are often amazing and oh so Catholic. She has a lovely voice and sings with a sort of country, sometimes jazz or blues style. She has appeared on EWTN, and her husband is a good Catholic psychologist who has also appeared on EWTN. 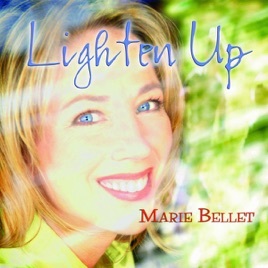 I actually purchased her albums off Amazon, but you can order them straight off her web site http://www.mariebellet.com/ My favourite album Is “Lighten Up” Just a way to counter the culture that keeps creeping into my heart – if I’m going to listen to music it helps if it is something that builds me in my faith, and not a constant assault on it. Hope it helps someone!